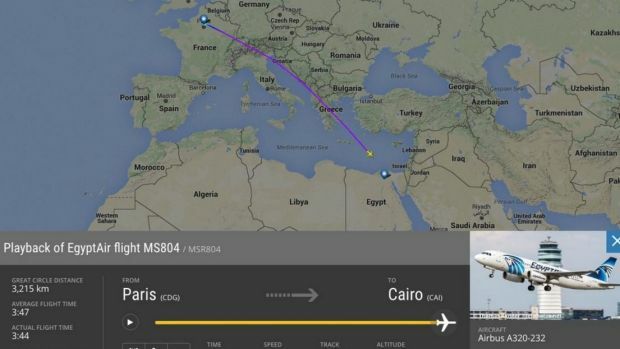 While the EgyptAir flight MS804 is travelling from Paris to Cairo, it is reported that a distress signal was issued “in the vicinity” just above the Mediterranean Sea. Two security officials at the Cairo International Airport was reported by the New York Times for saying that the plane was alleged to have crashed. Though, the airline is still stating that the plane’s plight is a “disappearance”. Egyptian authorities have yet to offer a theory for why the plane went missing from radar. Authorities from Egypt and Greece have launched a search with planes and boats in the area where the plane was last detected. Egypt’s Civil Aviation Ministry believe the plane has most likely crashed into the water. There was an account from the captain of a merchant ship that he saw a flame in the sky around 240 kilometers south of the Greek island of Karpathos and the Greek defense ministry said they were investigating into it. But the civil aviation ministry of Egypt states that it was too early to confirm that the plane had crashed. EgyptAir said, there are total of 66 people on the Airbus A320, and a child and two babies are among the people on board. The latter disappeared from radar shortly after entering the Egyptian airspace. The vice-chairman of EgyptAir, Ahmed Adel, confirmed that there are 56 passengers and 10 crew members on board at the time the plane went missing. The passengers include 53 adults, two infants and one child and they are from 12 countries. Most of the passengers are from Egypt, with 30 citizens on board, while 15 are from France. Two of the passengers are from Iraq, and one passenger each from Britain, Canada, Belgium, Kuwait, Saudi Arabia, Sudan, Chad, Portugal and Algeria. A total crew of 10 is on board, including two cockpit crew, five cabin crew and three security staff. 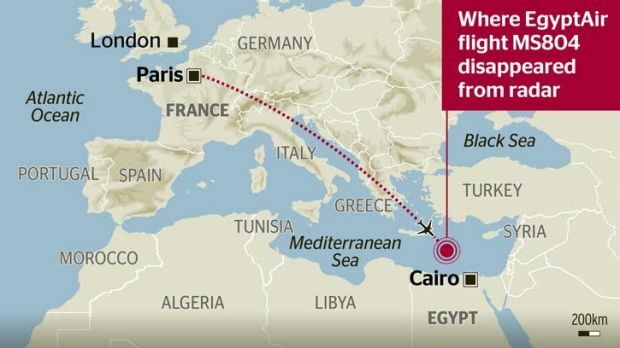 The flight MS804 took off from Charles de Gaulle Airport in Paris at 11.09pm on Wednesday local time (7.09am AEDT), and was scheduled to land in Cairo at 3.15am on Thursday. The MS804’s captain and first officer each had several thousand hours of flying experience, including on the type of plane they were flying when the incident happened. EgyptAir stated that the flight was cruising at 37,000 feet when it disappeared from the radar at 2:30am Cairo time, 45 minutes before it was about to land. Authorities also stated that they received a “distress message” from “the vicinity” where the plane was last seen. The said distress was detected by armed forces almost 2 hours after the plane vanished from the radar. But they were not able to confirm if the signal came from the MS804 or from a nearby boat. Initially, it was believed the plane just vanished and did not radio for help or lose altitude. The weather at the point where the plane disappeared from radar was reported to be clear. 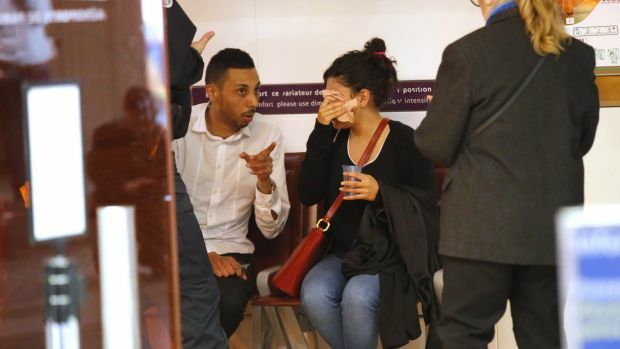 France’s foreign minister Jean-Marc Ayrault confirmed 15 French citizens were on board the plane and said France will send planes and boats to assist in the search. It is not believed any Australians were on the flight.